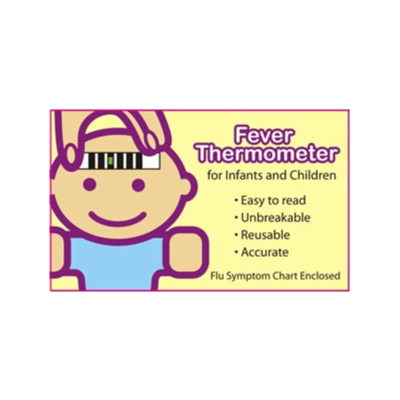 Liquid Crystal Forehead Thermometers are a safe, non-invasive and trouble free way to take a body temperature in only 20 seconds, particularly good for children. Several designs together with protective sleeves or mini travel boxes are available for branding. 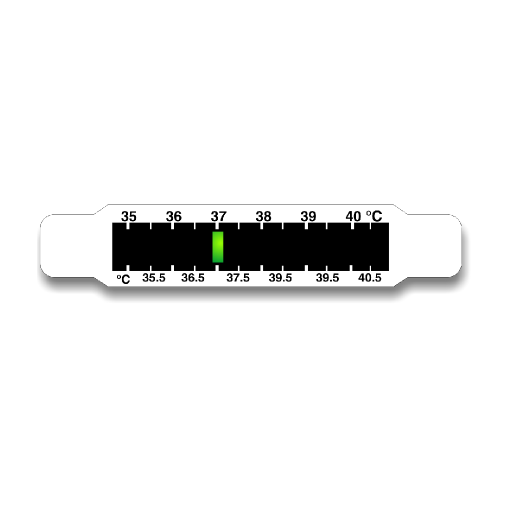 Special adhesive backed versions of our Forehead Thermometers are used in operating theatres, schools and for mass screening. 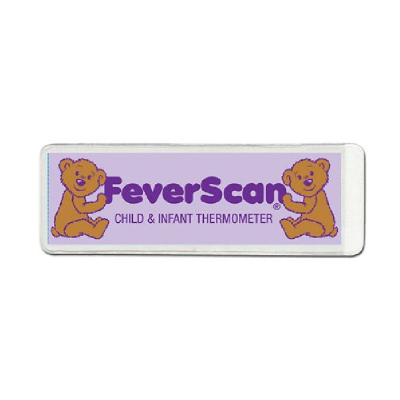 6 Event Dual Scale Baby Bear Feverscan temperature indicator. 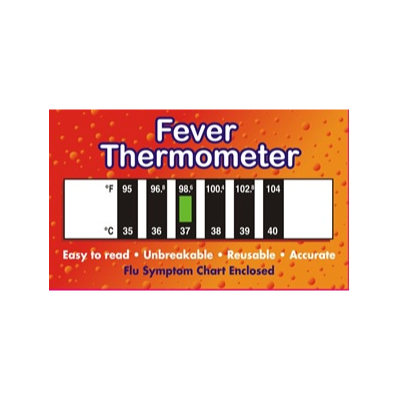 Place on baby’s forehead for 15 seconds to show if child has a fever. 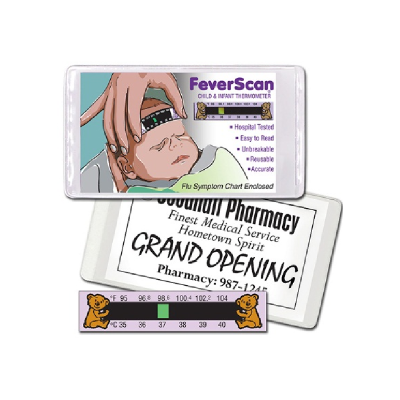 6 Event Liquid Crystal Forehead Thermometer Precise medical forehead thermometer to show a child’s or adult’s temperature trends. 12 Event Forehead Thermometer. 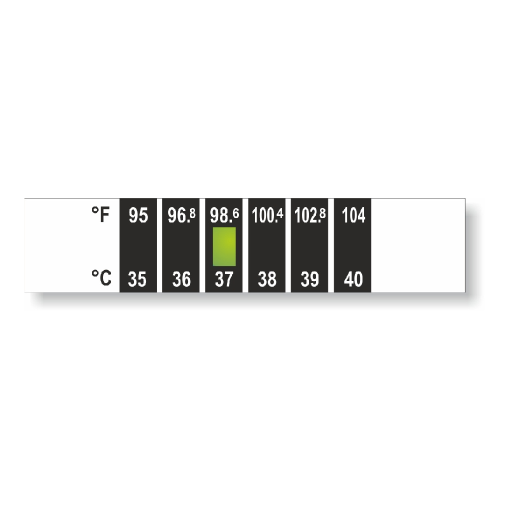 Extra precision comes with this 12 level thermometer which reads to the half degree.